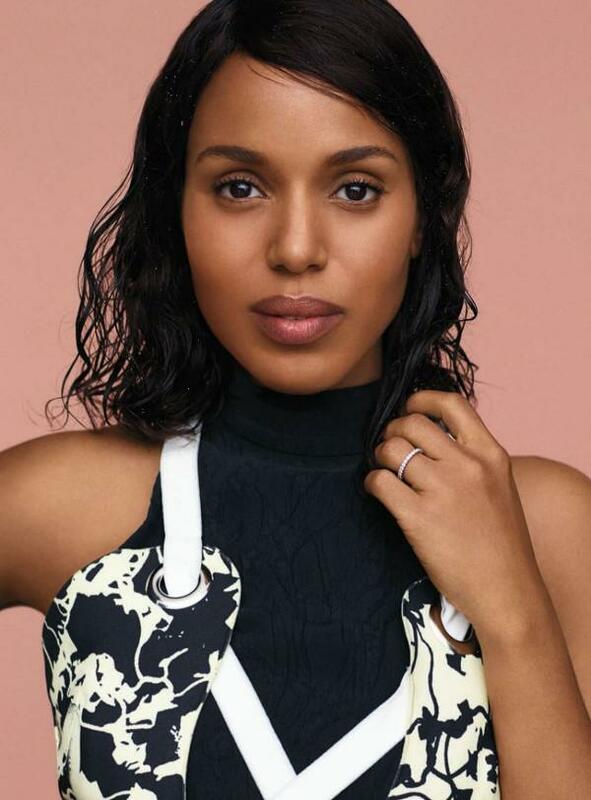 'Scandal' actress Kerry Washington is featured on the September issue of InStyle magazine, where she dishes with Editor-in-Chief Ariel Foxman about her social media hiatus, expecting her second child and her fashion plan to share clothes with other pregnant women. On Her Social Media Hiatus: "I was starting to feel overwhelmed, like there was too much noise. I felt like I had to get back to who Kerry really is … I felt like I needed to create a little more stillness around me. There’s something about pregnancy–that willingness to take up more space in the world — that is liberating." On Expecting Her Second Child: "I think pregnancy prepares you for what’s next–that ‘fourth’ trimester of actually having the infant. There is so much about it that’s like the warm-up to the big game: the surrender, the lack of control. It’s a time to quiet other voices and really tune in to what’s right for me." On Her Pregnancy Fashion Plan: "There’s nothing high-end for professional women who are pregnant. So for the show, we wind up just buying the same clothes. We will cut out the front of Armani trousers and put in a pregnancy panel. That’s what we do for everything. I also got this great idea from Jessica Alba: She told me she had this box of maternity clothes that she would ship from girlfriend to girlfriend … I’m now getting clothes back that I wore the first time. Everybody adds cute stuff to the box. You’re less afraid to spend money because you feel a lot of people are going to use it."